The AAT provides a one-stop shop for the independent review of a wide range of decisions made by the Dept of Immigration and Australian Government. AAT can review decisions made under Commonwealth and Norfolk Island laws. AAT aims to make review process accessible, fair, just, economical, informal and quick. When Visa is refused or cancelled either onshore or offshore and if you are eligible to apply for AAT Review, you may do so by filling in forms – applying online and paying appropriate fees to AAT – if you win appeal you will be refunded 50% of your fees and if you have financial hardship, AAT may waive their fees, however, it may happen rare and almost all review applicants need to pay AAT Appeal processing fee which is currently A$1,731 and will soon rise from 1 July 2018 – please refer to www.aat.gov.au website for latest information. When visa is refused or cancelled by Dept. 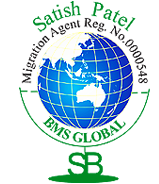 of Immigration, Australia, and if your are eligible to apply for AAT Appeal, you will have certain time limit and you MUST lodge your appeal before expiry of time limit as otherwise you will not be able to lodge appeal after expiry of your time limit – STRICT TIME LIMITS Apply so first you must lodge appeal within time limit and then you will have ample time to provide further information, explanation, documents and evidence to AAT for your review application until your case comes for Hearing at AAT. AAT decides the case upon Jurisdictional Error – where dept has made mistake in decision making – Jurisdiction Error is also known as Error of Law – these are very complex and may be beyond reach of ordinary person who may not have much legal background or who may not have in-depth experience in dealing with Appeal Cases. To lodge an AAT appeal, the review applicant need not engage any registered migration agent or a lawyer, the review applicant can very well lodge their appeal without assistance of a registered migration agent or a lawyer. AAT does give equal opportunity to cases where either review applicant is fighting the case alone or with assistance of registered agents or a lawyer. We have been providing AAT Appeal service for long period of time for over 18 years now and successfully received favourable decision from AAT where visa refusal decisions of dept were set aside or remitted back to them for reconsideration. From our experience we can very well tell the review applicants that it is very exhaustive and time consuming process and it needs lot of dedication, hard work and arguments submission skills and fluency in English language which probably may not have with all those who assist others for lodgement of AAT Appeals. Based on our experience and amount of work involved which also includes lot of research work, we quote to our clients for our AAT appeal services. 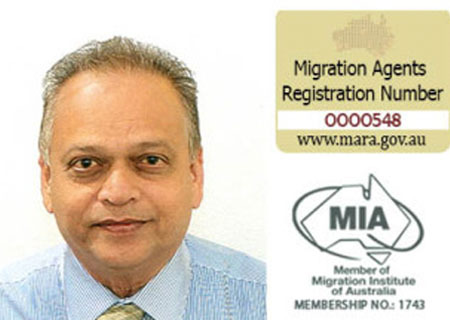 Before Hearing Date, we would strongly recommend to review applicants that they must refer to website of AAT www.aat.gov.au and refer to as much material as possible and get acquainted with process of AAT Hearing so that at the time of Hearing review applicant can listen to Hon Member in proper manner and understand questions of Hon Member and reply to Hon Member in most appropriate manner so that chances of receiving favourable decision from AAT can increase by many folds. If review applicant has difficulty in English Language, review applicant can very well ask for Interpreter in languages provided by AAT well in advance when Hearing Date confirmation letter is sent to AAT. Having Interpreter will give you lot of confidence in replying to questions raised by Hon Member of AAT. Interpreters are professionals and very well acquainted with processes of AAT and you can request Interpreter or Hon Member of AAT to repeat questions if you do not understand their questions and they will be more than happy to repeat those questions. The appeal process of AAT is fair, just, economical, informal and quick because AAT conducts independent review of appeals lodged to them against refusal or cancellation of visa or any other matter such nomination or sponsorship. The best to way proceed in your appeal to AAT is that you seek initial consulting from experience registered migration agent. We provide initial consulting in the range of A$250 to A$500 if review applicant has to seek Expert’s advice. We also adjust the amount paid to us in total fees if review applicant becomes our client. Please feel free to contact us anytime suitable to discuss your visa refusal or cancellation or sponsorship or nomination refusal.